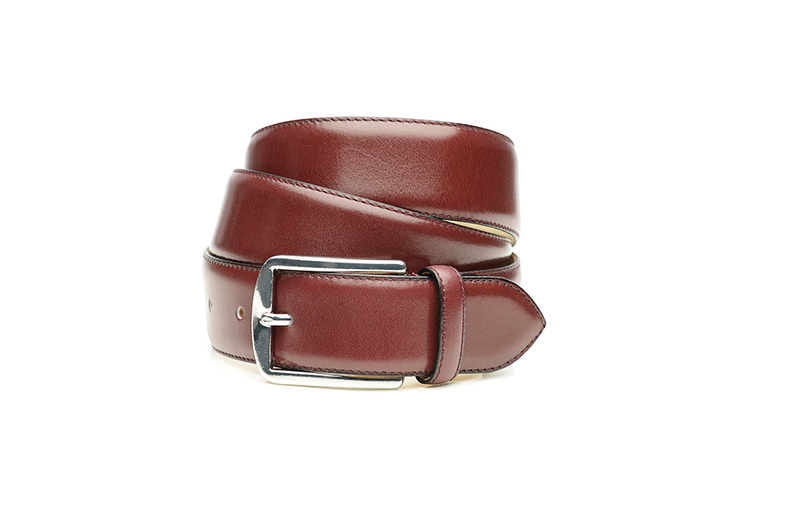 This men’s leather belt in bordeaux is the perfect match for our bordeaux leather shoes. 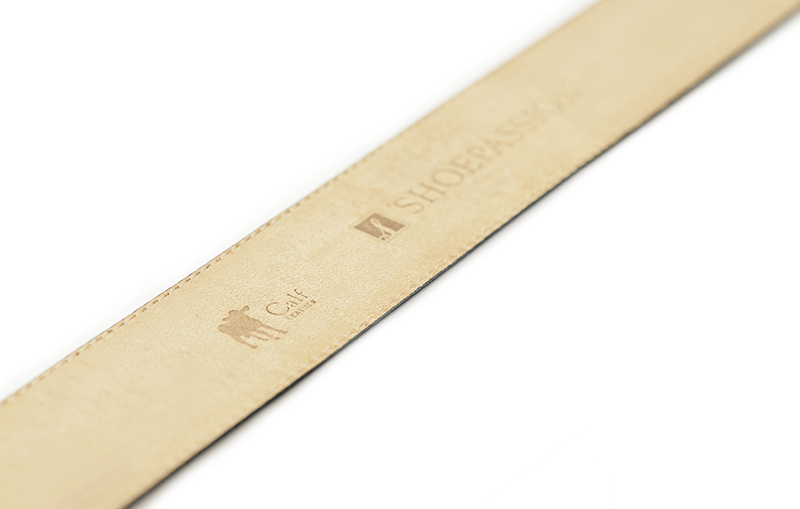 Made from two tightly stitched-together layers of leather, this chic men’s belt is supremely stylish. 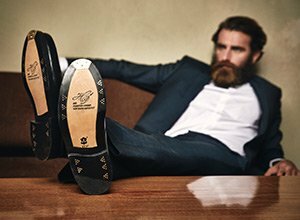 Its outer layer is made from fully-dyed box calf, while its inner layer consists of calfskin that has been left wholly undyed. 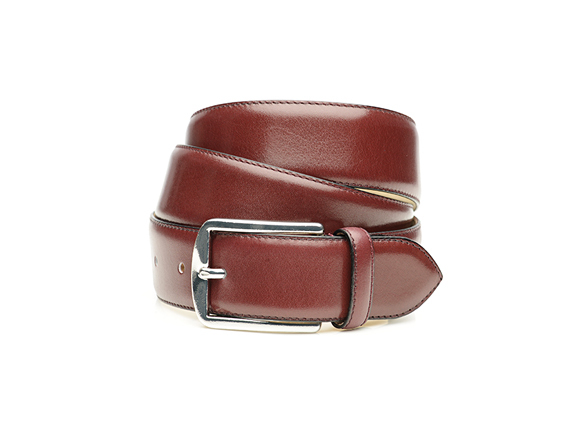 This full-leather men’s belt has a silver buckle closure with elegantly rounded edges. Since said buckle is free from nickel, this belt is perfect for men with a nickel allergy. The buckle is attached to the belt by means of a delicate screw closure, which keeps the buckle firmly in place while also making it easy to remove when desired. 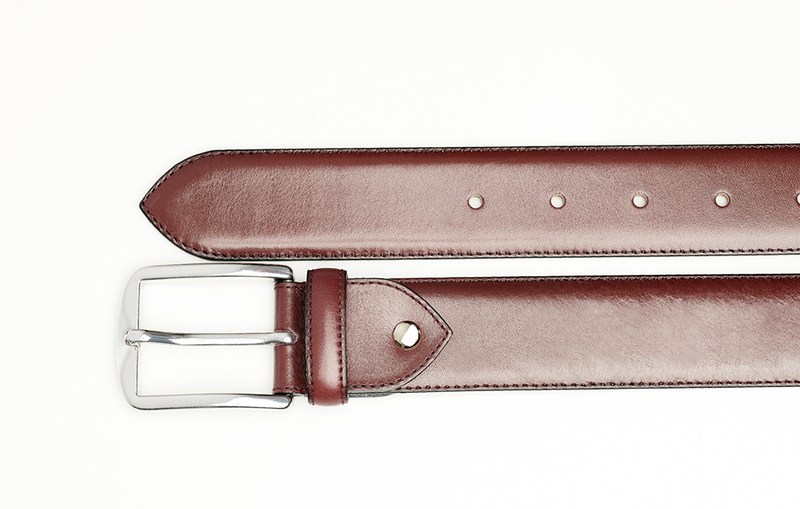 Make sure to select the correct size when you choose your bordeaux belt. We offer five different sizes—the size refers to the distance between the outer edge of the buckle and the middle belt hole. Ideally, this measurement should be the same as the width of the waistband of your trousers. 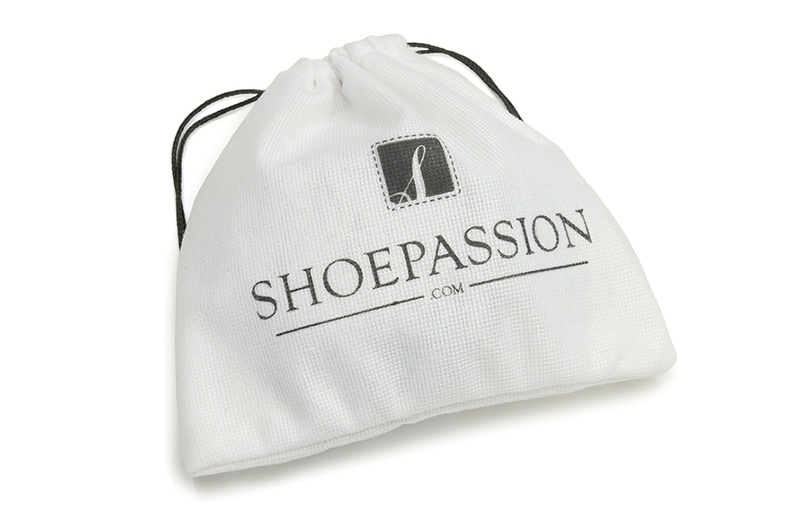 This stylish men’s leather in bordeaux comes to you in a soft, white cloth bag emblazoned with the SHOEPASSION.com logo.